Pirate Graves | Beneath, Between & Behind. 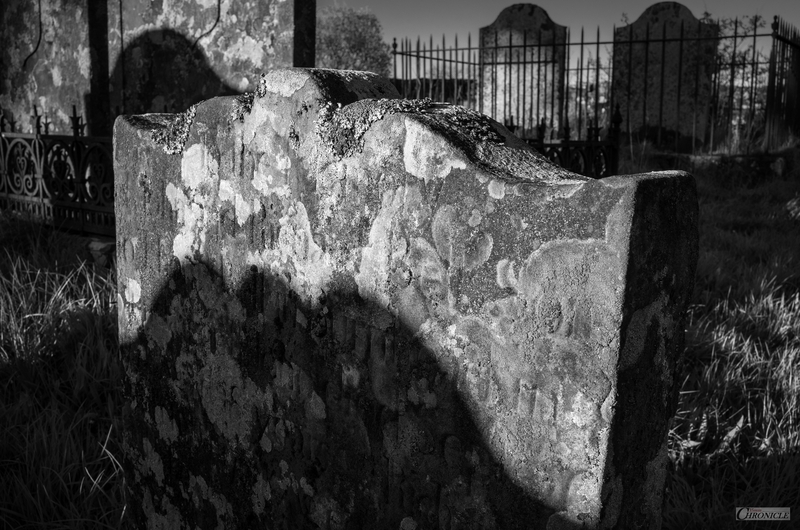 Whilst I love the coming of spring and, all of the wondrous new life that emerges with it, I seem also, conversely, perhaps even perversely, to have a little bit of a fascination for graveyards, church ruins, and dare I say it, possibly too, death. It’s not a consuming passion you must understand; perhaps more – they are simply notions of enquiry, empathy and a tinge of metaphysical intrigue. In a crude way, such intrigue was piqued a few evenings ago when I took a short after-dinner walk along the river, just before sunset, to the nearby site of a very old church, some three-hundred or so years past, the remains of which are now completely gone. What remains on the site, however, are around four or five dozen headstones and burial plots. With my camera in my pocket, I took a very leisurely but intent look at the stones and markers whilst enjoying the sound of the river and the golden, still warming shimmer from the setting sun behind me. On such an evening as this, my shutter-finger itches a little more than usual and it’s all I can do to keep my hand from reaching for my camera. Still, sometimes I prefer to take my time and just ponder, to look and take in – when the light is almost certain to not imminently disappear, that is. It was one of these kinds of evenings. I. Iron, Stone & Wood. 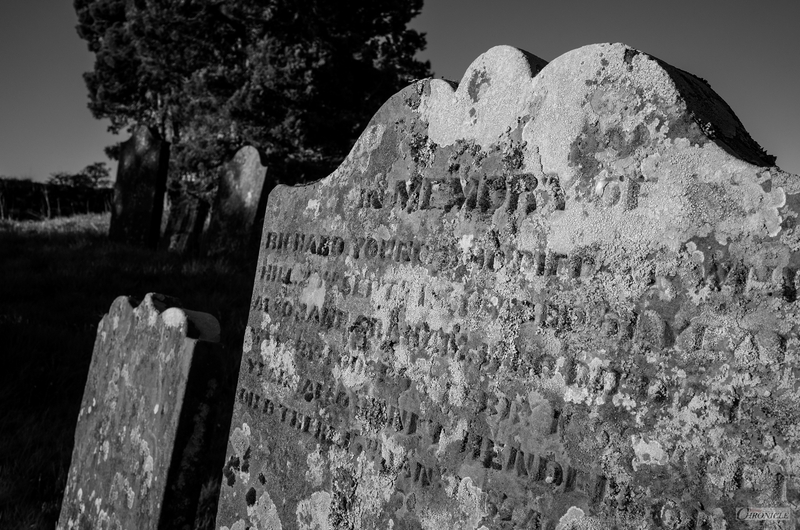 One of the general giveaways as to the potential wealth (or debt) of the departed and their immediate family, can often be perceived from the size, design and material and, wordage contained within their plot and, of their stone or marker. 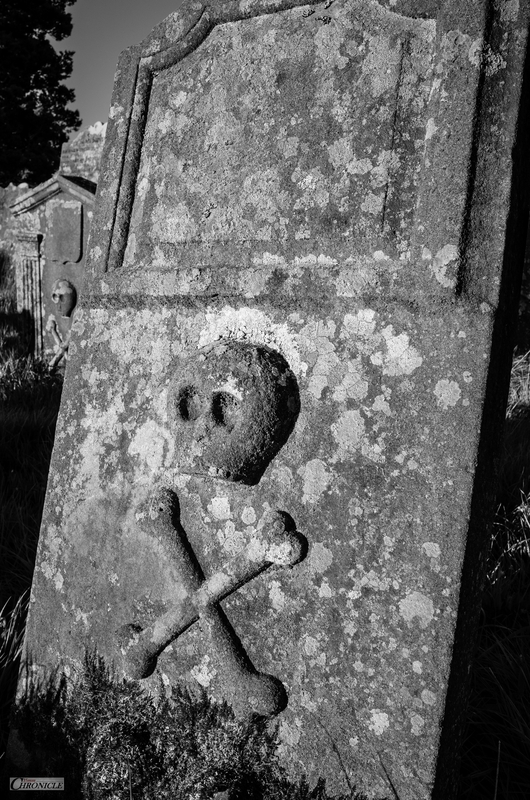 With this realisation in mind, you may be able to imagine my intrigue when, upon not too intense perusal, I discovered that the locally called ‘Pirate Graves’ actually existed – with no markings, barring the obvious emblem of the skull and crossed-bones and little to nothing else that might identify he or she below. They lay between areas filled with the stones of seemingly important people of their time (mostly from around the early 18th Century) and, this befuddled me somewhat. As I was unable to find any indications as to the years of burial on these so-called Pirate stones, I have no idea as to whether they are older than the stones marking the spots of the more affluent, or not. Some part of me cannot wholly accept that there were or are actual pirates buried here. Perhaps instead, there were stylistic and symbolistic changes after the Reformation and I would need to research this in much more depth. Their crudeness certainly seems to suggest a lack of patterning or stone-masonry skill. Perhaps too, they simply weren’t regarded all that highly and the skull and crossbones was their final judgement and the badge which they would wear for the rest of their eternities? 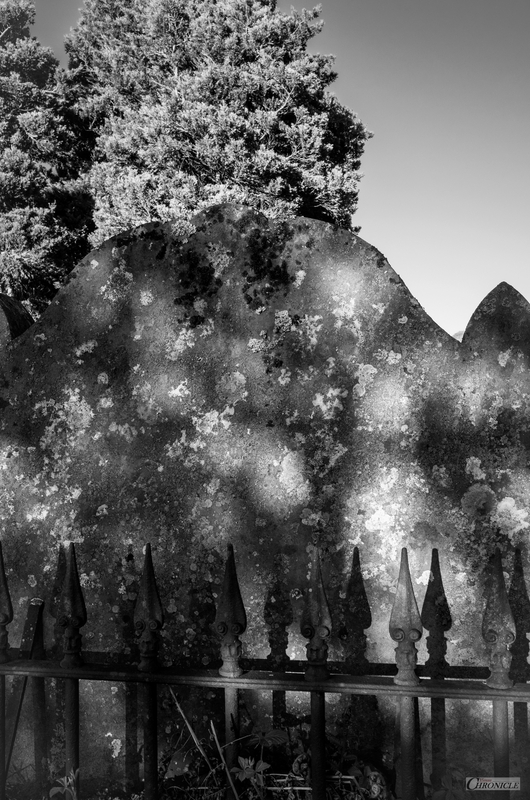 Nonetheless, all of these graves exist to intrigue, if no-one else, me – not only by their seemingly obvious socially contrasting proximity to one another but also for the fact that nothing (short of an exhumation), will ever be able to reveal anything about who the unnamed, were. IV. Beneath, Between & Behind.